By remaining strong throughout its journey so far, the action war drama Kesari has grossed over 200 crores at the worldwide box office. Directed by Anurag Singh, the movie has received very positive reviews from everyone and as a result giving an edge to edge competition to new release Kalank. Starring Akshay Kumar and Parineeti Chopra, Kesari got huge buzz and as expected opened to an excellent despite all the odds. Due to positive word of mouth, it picked up very well and showed steady performance so far. In last 3 weeks, this action war drama raked the business of total 147.21 crores on an excellent note, that included 105.86 crores of the 8-days extended first week, 29.66 crores of the second and 11.69 crores of the third week. The movie is now running in the fourth week and once again passed the weekend on a good note. It did the business of 3.70 crores, that included 0.70 crore on Friday, 1.30 crores on Saturday and 1.70 crores on Sunday. 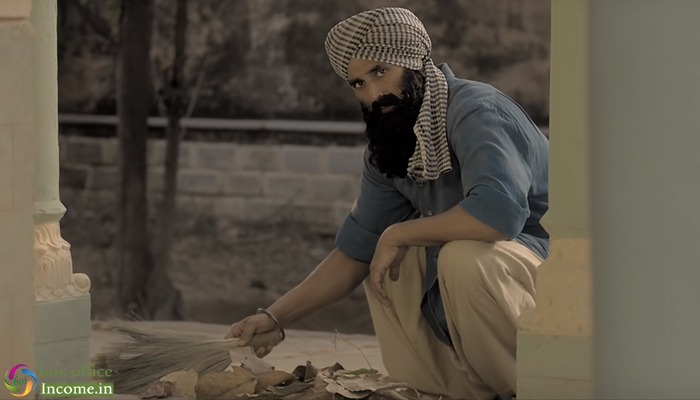 Then on weekdays, Kesari witnessed an abrupt drop but still heading steadily. On 4th Monday, it minted the amount of 0.55 crore after a drop of 21.55% than last Friday. With a further decrement in footfalls, it added 0.50 crore to its account on 4th Tuesday. On the next day i.e. 4th Wednesday, Akshay-Parineeti starrer has done the business of 0.65 crore (Mahavir Jayanti Holiday) and raised its 28 days total collection to 152.61 crores at the domestic box office.